As an email provider, such is Gmail’s popularity that it is often said that if you don’t have a Gmail account nowadays, you haven’t really arrived. Firstly, it comes for free. Moreover, it is completely reliable and has a huge amount of storage capacity. 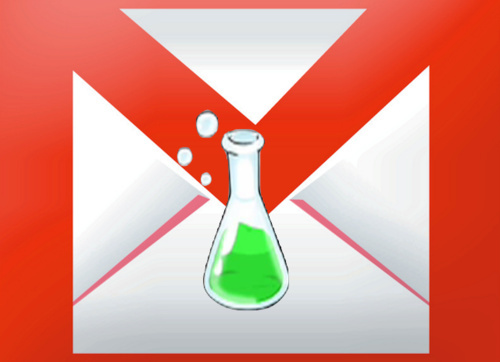 The Top 10 Gmail features mentioned below will prove what makes it unique and the most preferred. Gmail pioneered the concept of substantial storage capacity – 2 GB when it was launched and which has been subsequently raised to 25 GB currently. And that too, for free. Moreover, its unique selling point is that the user doesn’t need to organize his emails or delete anything. Just archive all your emails while using search to locate what is required through Gmail’s advanced search features. An interesting feature of Gmail is that it enables you to read previews of all emails while simultaneously viewing all email conversations. You get an email’s gist without fully opening it. At the same time, you don’t need to block off all other messages from viewing. Gmail also allows you to un-send emails. All you need to do is enable the Undo Send feature under Labs. It will give you up to 30 seconds in case you decide suddenly to withdraw a sent mail or not to send it at all. Ideal for those who write mails emotionally and hastily while regretting it later. Here are the steps for Gmail Undo Send. When you enable Gmail’s Quote Selected Text feature in the Labs section, you are empowering yourself to add some relevant context to all your emails. You can highlight certain portions of a mail in case you wish to quote it while replying. This becomes specifically helpful when replying to specific comments or questions in an email. When you enable the Google Calendar, you get to see a box on Gmail’s left-hand column which displays all information on your personal Google Calendar. This helps you keep track of all appointments and engagements, deadlines etc. and becomes an absolute necessity for professional users of Gmail. A great way to protect your-self from phishing attacks. As you enable this feature, a Key icon gets displayed next to all emails from Amazon, eBay and PayPal which are very vulnerable to attacks from phishers who try to illegally access users’ passwords as also confidential information on their credit cards. The absence of this Key icon beside an email sent by eBay purportedly, say, indicates a scam and ensures your protection from falling prey to phishers. In case you are repeating yourself in all your emails, you have the option of setting up a Canned Response that allows you to transmit a standard reply to all mails with a single click. Saves time and energy while also eliminating the monotony of the job. This is an outstanding feature of Gmail. This enables you to view the exact location of an address sent to you by way of an email on the Google Maps network. This feature enables you to easily locate vital information such as flight timings or road directions. You are just a click away from any URL that can be bookmarked in Gmail. When a particular thread gets annoying, you have the choice of muting the conversation and shunt it off to your archive for All Mails instead of your inbox.